Music for organ and eight bells especially suitable for the Christmas season. PDF download includes full score and separate parts for handbells and organ. Perfect for that one extra meditative piece for Christmas Eve! This work includes a brief quote of a German Christmas Carol melody Vom Himmel hoch, da komm Ich her (From Heaven Above to Earth I Come). 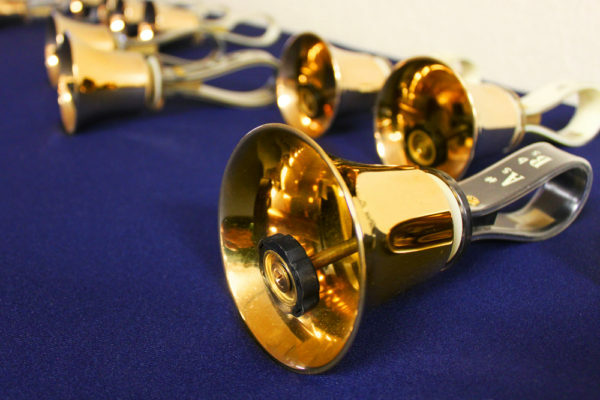 In the manner of a pastorale, the handbells open the work with a ‘proclamation’ and the organ part considers the stars in the sky and the footfalls of the shepherds as they make their way to the manger to see their Lord. A contrapuntal passage suggests how all of earth and heaven and God’s people are brought together on this night.